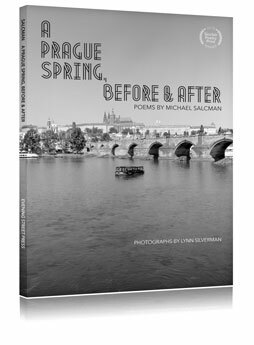 A Prague Spring, Before & After, winner of the 2015 Sinclair Poetry Prize, published by Evening Street Press. In short, this is an erudite and highly rewarding collection. 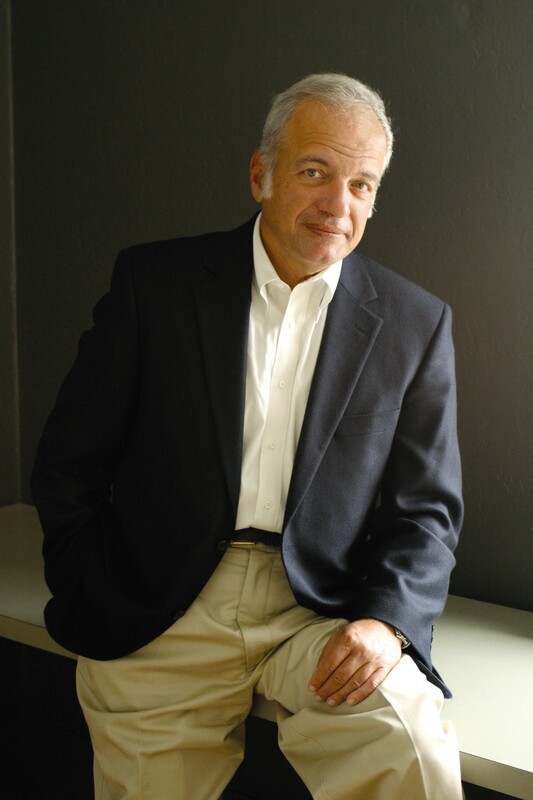 For many reasons, it is arguably Michael Salcman’s life work. And bravo for it. You can read the full review on the Loch Raven Review website. A work of great rage, sorrow, and love, Michael Salcman’s majestic A Prague Spring tells an almost unbearable story that needs to be told over and over and never forgotten. Beginning with coldly matter-of-fact poems of family members lost to and escaping the Shoah, Salcman documents how his parents survived and met, and how he got along in Brooklyn, the glorious borough of his childhood, baseball's Dodgers, and the Brooklyn Bridge. Finally, he doubles back to visit the country of his birth. And in a series of stunning poems, a prose piece, and a final poem to his cousin Magda, Salcman ties together past and present, and gives us one more glimpse into the soul of a survivor, two really, his older cousin, and himself. A Prague Spring is a near-epic book of history poems, interweaving the story of Prague with the Holocaust, family deaths and survivals, a book that stuns the reader with the enormities and sorrows of Time. Salcman uses the compression of narrative, meditative and lyric poetry to “bring you looted treasures: History’s twisted snakes.” Here we find a Holocaust survivor who is “a stick leaning on a stick, / an insect on a branch” as well as the backwards-running Jewish clock of Prague (“What city tells time like Prague?”) counterpoised with Salcman’s Brooklyn: “sweet / borough of my youth, heart and lung / of life.” Kafka and Salcman's ancestors haunt the Czech capital where “a pile of dust once pushed a cart of salt and spices / on a medieval street.” The poems revisit totalitarian defenestrations, slaughters and repressions as they recount, wonder and pray, all the time knowing “the brain is a savage beast, it eats when and what / no other organ eats….” At once autobiography, history, testimonial and memorial, A Prague Spring is a revolutionary collection of important and necessary poems, confidently written and—especially with Salcman’s tonal skills—always absorbing; it is further deepened by how perfectly Lynn Silverman’s dark photographs of Prague capture that ancient city’s shadows and ghosts. 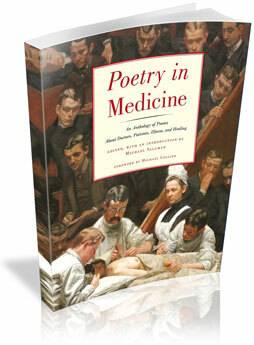 Poetry in Medicine, an anthology of poems about Doctors, Patients, Illness, and Healing, selected and edited by Michael Salcman, and recently published by Persea Books, (New York, 2015), contains more than 300 poems on medical subjects by history's finest poets from Ovid to the present, including Auden, Baudelaire, Berryman, Bishop, Blake, Dickinson, Eliot, Frost, Heaney, Hirsch, Larkin, Lux, Plath, Rilke, Ryan, Salcman, Sexton, Stevens, Whitman, Williams, Yeats and many others, as well as a scholarly Introduction and personal Preface by Salcman, brief biographies of the poets, and a thrilling Foreword by Michael Collier. Salcman, who is a distinguished neurosurgeon, reminds us in the first sentence of his preface that "all of us are born as patients," and this crucial, humane idea remains a touchstone throughout the book...a definitive collection that records the widest possible range of human responses to the predicament of mortality. A remarkable volume of poems about medicine, by writers ranging from Shakespeare to Ogden Nash to Lucille Clifton—some tragic, some funny but all worthy of a penetrating read. This book should be of interest to all thoughtful readers, among them physicians, patients and anyone associated with (or interested in) the medical professions. Upon its debut, Poetry in Medicine received a very strong review by Donna Seaman at Booklist who called it "this unique, unnerving, and moving anthology...arranged within 14 unflinching clinical thematic categories...Primarily about physical illness, these imaginative, frank, witty, transcendent, and elegiac poems articulate the full range of emotions and mental aberrations sickness arouses. Who better to write about the mysteries of the body and the mind under stress than ever-vigilant, temperature-taking, empathic poets?" And Amazon listed it as the No.1 new Poetry Anthology and the No.1 new book in the Physician & Patient and Doctor-Patient Relations categories. The Enemy of Good Is Better (Orchises, 2011) contains three poems nominated for a Pushcart Prize, one poem nominated for a Best of the Web Award and "Cutting Apples", first published by Alaska Quarterly Review and selected by Poetry Daily. In 2012, four poems from The Enemy of Good Is Better and two others were set to music by noted Baltimore composer, Lorraine Whittlesey. Copies are available directly from the publisher, Orchises Press or from Amazon.com. In Michael Salcman's strong collection...consistency of attitude, style, and striking images make many memorable poems..."we look in wonder at the vastness of space/ but from the mind to the page is as great a distance"—a distance he navigates with passion and skill that give us pleasure. His range is enormous. No matter his subject, his poems are in love with life. You finish reading Salcman thinking you are quite a bit like him. Salcman's medical background gives rise to some remarkable metaphors...The imagery astonishes...Salcman's wedding of material object, emotion and idea engages mind and heart alike. The Clock Made of Confetti (Orchises, 2007), nominated for The Poet's Prize in 2009 and a Finalist for The Towson University Prize in Literature. Copies are still available from Orchises Press and from Amazon.com. This is a long awaited collection...What I love most about his poems is the figurative microscope he builds into each poem so the reader can see it all: focused, alert, alive. T.S. Eliot famously praised poets "who feel their thoughts as immediately as the odour of a rose" and until Michael Salcman our recent poetry has been overdue the new arrival of such a poet...This is a question-asking, passionately felt, superbly described and crafted poetry of the highest order.